Google Cardboard is an inexpensive, easy to use virtual reality viewer that debuted in 2014. You can use the original Cardboard viewer with most Smartphones, although variations on the cardboard viewer are available from many vendors. Cardboard is an alternative to pricey headgear and is a perfect introduction to VR. A new trend in Virtual Reality Gaming? You’ve probably used a virtual reality headset at some point, to play a video game or try it out at a tech fair. VR headsets are fun, but they can be cumbersome for some people. Google offers a VR headset, and it’s pretty lightweight. It’s called Google Cardboard, and it is a simple cardboard cutout. This design was created by Google employees as part of a side project, and it’s become a success, partly due to its affordability and portability. You can buy a kit to make a cardboard viewer or create a DIY version. The kit consists of two distance lenses, cardboard, Velcro, a rubber band and magnets to keep the headset in place. The headset kit comes with an NFC chip that launches your Cardboard app when you attach your phone to the headset. The magnet on the side of the viewer acts as a button. Touch the magnet to control the images on your screen while you are using the viewing. The magnet senses the compass mechanism in your phone, so it allows you to control the phone while you use the headset. Place your phone at a working distance from the Google Cardboard viewer so that you can see the images. You then use special apps made for Cardboard to help create 3D scenarios when you hold the phone to your eyes. If you move your head while watching a beach scene on the app, the images will respond to that movement as though you are on that virtual beach. You can use Cardboard to play games and have fun or download useful apps for public speaking, music or travel. Get started by downloading the free Cardboard app. This app lets you set up the viewer and features a “My Library” folder where you can store all your Cardboard apps. Cardboard also adds new features to apps you already have on your phone. You can enjoy 360 videos from YouTube once you’ve downloaded the Cardboard app, and use the “View in Cardboard” option for regular videos. Cardboard View will turn the screen into a giant virtual theater for a more immersive experience, but it won’t switch the video into 360 mode. There are hundreds of games made specifically for Cardboard, with developers working on more all the time. Many of the games are free, with others ranging from 99 cents up to $3.99. Sisters is a free VR horror story featuring ghosts and jump-scares. It’s not interactive, but there are plenty of frightening moments awaiting you. Cyberpunk fans may like Whispering Eons, a free game with a complex storyline. This app features 60 minutes of game playing, and you’ll need to tilt your head to the left or right to interact with the characters. Use a controller with this one or you may get dizzy. The 3D update of Atari’s Proton Pulse has the same m.o as the original – you use a bat to break bricks, In this version, you use your head movement to guide the bat. Download the game for $1.99. The puzzle game Mekorama VR has 50 levels, and you can download more user-generated dioramas. This game has a leisurely vibe for users who like to challenge themselves with brainteasers at a relaxing pace. You use a rotating magnetic wire that controls obstacles and prevents the game’s protagonist, a robot named B, from arriving at his destination. You can build obstacles with stone, blocks grass or other objects. Mekorama VR is $3.99, and you can share it with friends via a QR code. Also, you can check out VR Shinecon. Many Cardboard apps are free, and you’ll find lots of music apps. Two of our favorites are the Bohemian Rhapsody Experience, which reimagines the song’s unique video through an animated film. Listen to this free video through headphones to experience the changes in sound as you move your head. Inside Abbey Road features a tour of the famous recording studio and a performance by the London Symphony Orchestra. You’ll get to stand in the middle of the orchestra – virtually- and you can download the desktop version of this free app to try mixing a song by yourself. If you’re apprehensive about speaking in public, the free Public Speaking VR App will place you in various situations where you can practice speeches and presentations. Stand in front of a virtual audience or boardroom and work on conquering your fear of speaking in front of groups. You can take panoramic, 360-degree photos with the Cardboard Camera and view them using your headset. Unfortunately, there’s no option to share photos yet using this free app. You can also find educational apps like the New York Times VR App. This app has recently featured short VR films about American bison, the “dwarf” planet Pluto, great moments in Olympic history and other subjects. Since Cardboard was introduced in 2014, it’s been a popular VR headset due to its simplicity and low cost, but it has several drawbacks as well. Here’s look at the pros and cons of using this virtual reality tool. This Google product’s affordability is its most obvious advantage. Cardboard is currently available for $15 on the Google VR website. The low price gives many people who can’t afford hundreds of dollars for hi-tech headsets the opportunity to experience VR. The recycled paper viewer, plastic lenses and neodymium magnet aren’t subject to the same up-and-down price cycle (and malfunctions) as other VR products. You put your Smartphone in the cardboard viewer, and you’re ready for a VR experience without the hassle of bulky headgear. Many Cardboard apps are free, and you can download them for Android or iPhone. Many online vendors are offering Cardboard viewers and kits. Your safest choice is to buy the headset directly from Google, but there are dozens, if not hundreds, of manufacturers worldwide offering their versions of the Cardboard viewer. 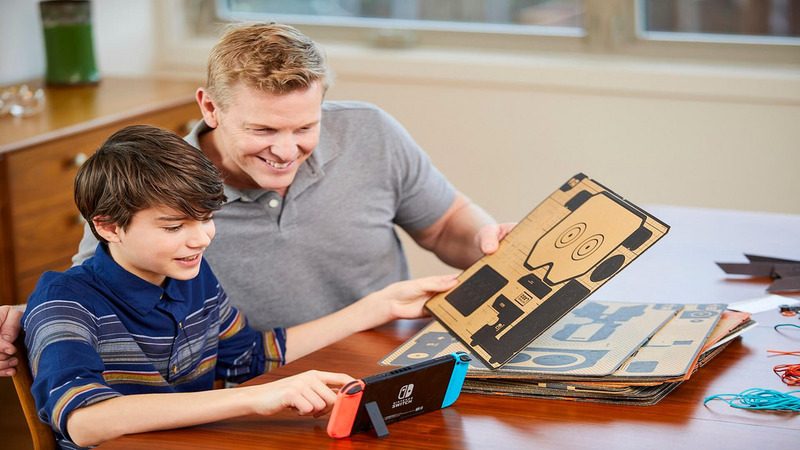 Cardboard offers low to no-tech hardware. Your Smartphone is the only tech component of the operation. However, Cardboard won’t be compatible with some older phones that have low processing power and outdated displays. The VR apps made for Cardboard need a high-quality resolution screen to work, and unless you have a recent model phone, the apps may not handle the intense graphics. The magnet included with Cardboard might not work on your phone if the magnetometer is positioned far from the magnet on the headpiece. Although the choice of apps is improving, most of the available content consists of games and music apps with limited interaction. Cardboard still lacks a wide variety of practical and utility apps. Google staff and independent developers are working on new apps for training, teleconferencing, and other daily functions. We may be seeing some of them soon, and have a larger choice of Cardboard content. Simulation sickness, or tracking fatigue, can be a problem even with expensive headsets and apps. The excessive head movements needed to interact with VR apps can cause headaches, dizziness and other symptoms of simulation sickness. Google and indie vendors are developing better head tracking and optics that could put an end to this problems. Right now, it’s difficult for many Cardboard users to interact with apps for more than then to 20 minutes at a time within feeling woozy from the constant head movements. You may find that a Cardboard compatible viewer is better for your phone than the original Cardboard set-up. The Pop 3.0 viewer has a brightly designed viewing box and a foam cushion to protect your forehead, eyes and nose. The View-Master Deluxe VR Viewer from Mattel looks like a vintage View-Master toy, but it is compatible with Cardboard. It has a headphone connector, wider lenses, an open-and-close-latch and several View-Master VR Apps. The Pocket-VR with CandyShell Grip features a slim design so you can fit it in your pocket. It has integrated lens protection and is designed for use with a Samsung Galaxy S7. 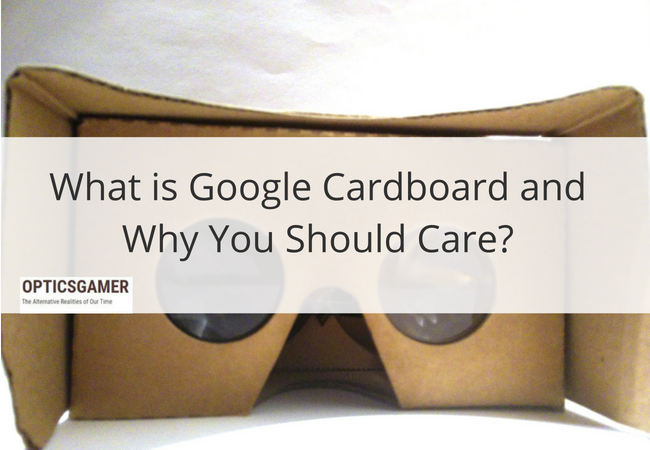 Cardboard debuted at the Google I/O Developers Conference in 2014. It was created by Damien Henry and David Coz, two Google engineers who worked at the company’s Cultural Institute in Paris. You can purchase a software development kit (SDK) for iOS and Android phones. The SDK has a VR View that lets developers embed content on apps and the web. Google Daydream, an enhanced VR headset, was developed in 2016 to capitalize on the success of Cardboard. Daydream uses a soft fabric headset instead of a cardboard one, high-performance lenses and a small controller. What is Augmented Reality and How is it Different from VR?